What are the RS-422 serial port characteristics on Beam? What are the IFB audio characteristics on Beam? The RS-422 serial port on Beam is full duplex to allow bi-directional external control. Baud rate: the RS-422 serial port on the Beam has a maximum baud rate of 115,200 bits per second / 115.2 kbps. 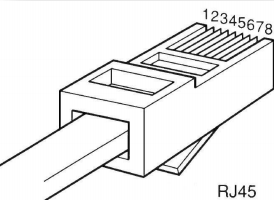 The RS-422 port is configured in the Web UI of the Beam, as described in section 2.2 of the Beam User Guide (download links available here). The Beam transmitter / TX configuration is shown on page 15, while the Beam receiver / RX configuration is shown on page 21. The RS-422 pinout / pin configuration is listed in section 3.7 of the Beam User Guide. NOTE: RXD (receive) refers to input into Beam, TXD (transmit) refers to output from Beam.